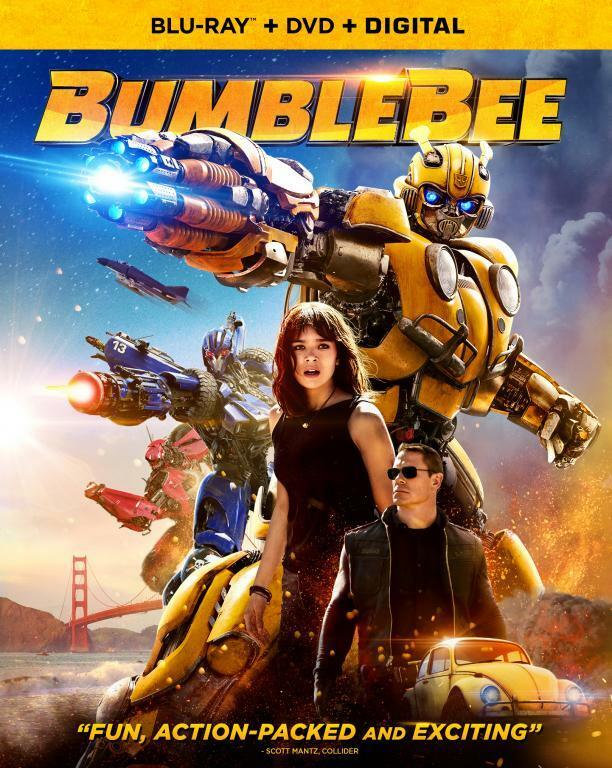 This week's link fest is almost a walk down memory lane for long time Transformers fans. Takara is releasing a Transformers: The Movie inspired version of Starscream, a bunch of 3rd party toys based on the G1 line, a look at Takara's G1 toys, G1 storyboards and a look at the Dinobot combiner. It has been 25 years but G1 is alive and well. 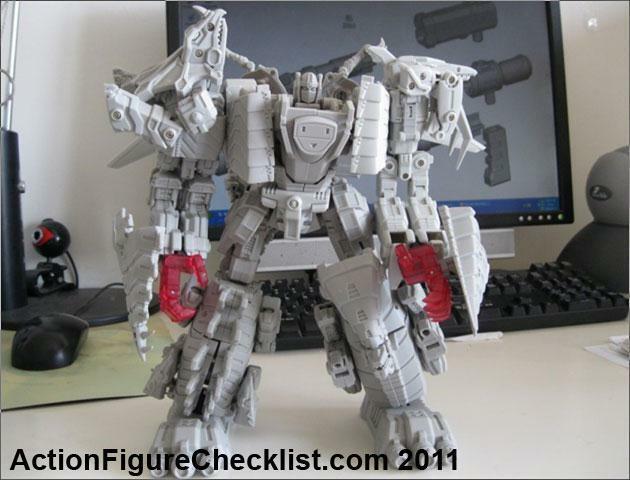 Takara just recently released a new mold of Optimus Prime that was more cartoon accurate and now is doing the same for Starscream. 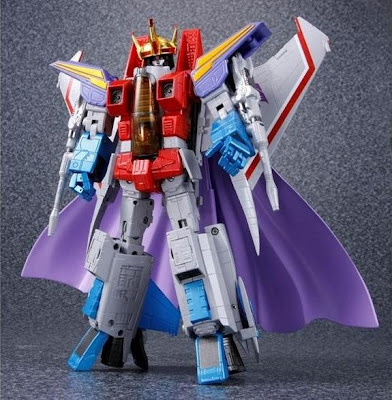 MP-11 is new mold for the famed Decepticon, mimicking his look in Transformers: The Movie complete with his cape and crown just before he was destroyed by Galvatron. 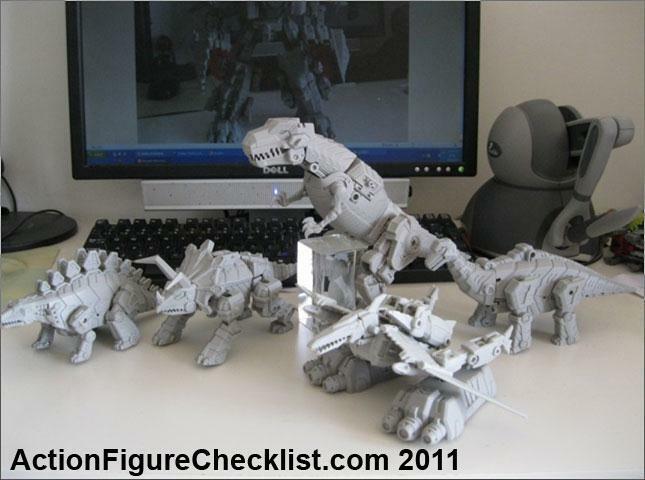 The figure is scheduled for around March 2012 and is being priced in the $140 range. A couple of weeks ago two toy shows were held that provided a look up in development "not" Transformers toys that various 3rd party makers are putting together. First two links are galleries. 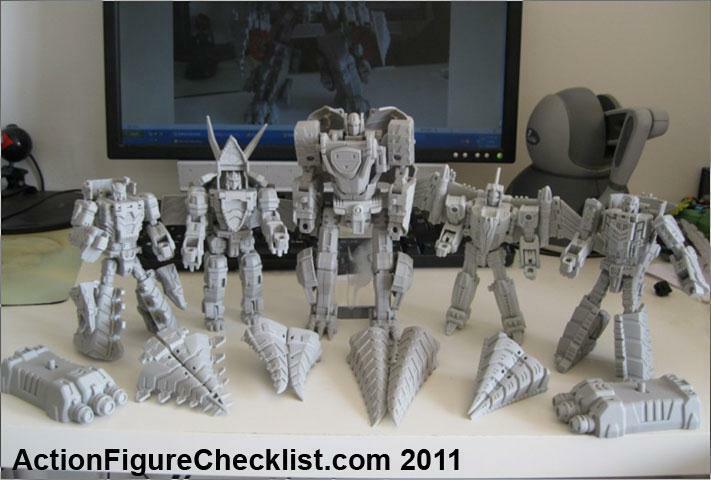 The third one is recent pics of the near completed prototype of the not Devastator. The last is a video link is teasers for Maketoy's not Devastator, Generations Laser Optimus Prime trailer, and IDW version of The Fallen. 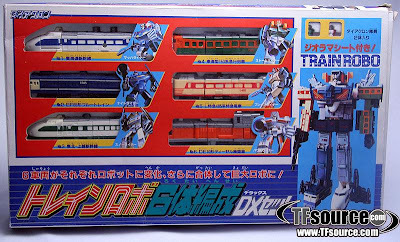 TFSource provides a multi-part look at the many Transformers vehicles (aka Diaclone in Japan) that were created back in the 80s. Probably the part I like most is just seeing the cool packaging that was made at the time. Not that twist tie crap they do today but boxes that could be reused for display purposes as you see fit (of course when a kid such an idea never occurred to me). I still have mental images of when G1 Transformers boxes took up an entire aisle at Toys R Us and Lionel toy store (with the video games in large plastic cases that took up another aisle). 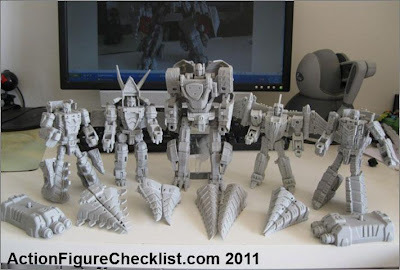 A look at Kaybay series 5 Transformers that is coming out for the Japan market. 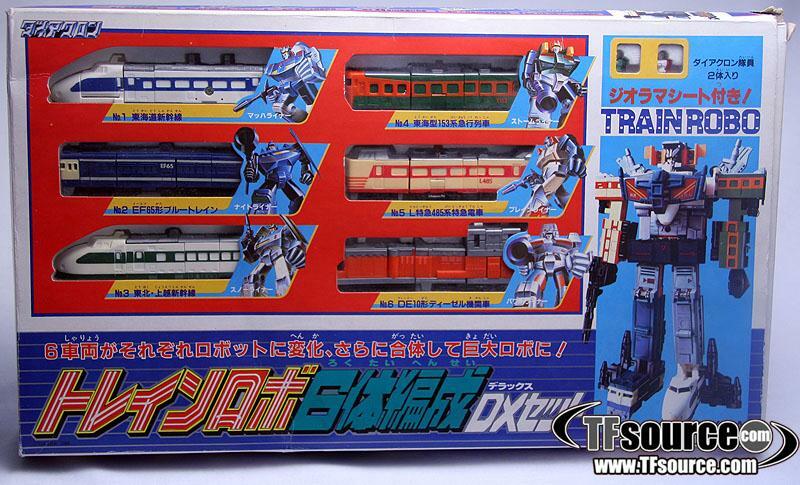 The series is a kind of "legends" class release of G1 figures in Japan. This run has Rodimus Prime with trailer, Star Saber, and others. It’s a shame these will likely never get released in the states. Hit the link for a few storyboards that were created for the very first Transformers cartoons. 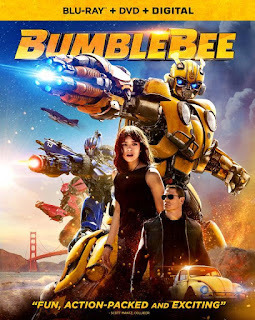 More Than Meets the Eye was the five part storyline that launched the Transformers line and essentially all that followed. Hit the links to get a look at Takara's official images for those toys that should be hitting Japanese toy shelves by the end of the year. No news if the encore figures are coming stateside but the Human Alliance Soundwave and Leadfoot should also be out by year end here. As usual Peaugh somehow gets toys before anyone else. This time he provides a look at Arcee from the cartoon. Overall not a half bad addition to the Transformers line. I am still on the fence on whether I am getting these toys but so far have liked what I have seen. why cant the masterpiece toys be under a hundred.